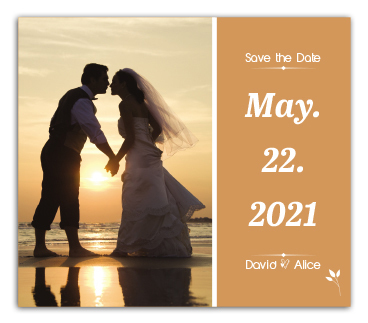 Personalized 3.5 x 4 inch classic save the date square corner wedding magnets are known to elicit favorable responses from all those who receive it as a gift! This means there are high chances that your loved ones are gonna make it to your D-day with full enthusiasm and vigor. This classic save the date magnet never actually fades out of fashion. It possesses larger retention period as a refrigerator art and a memoir of the wedding. This magnet boosts vigor of relationships that a couple shares with others.